Research and more research is critically important before trying any nootropic supplement. Because even ‘natural’ compounds can have a profound effect on your body and brain. Not choosing wisely could result in unwanted side effects. And while the Internet is the ‘go-to’ resource for nootropics research in our modern world – nothing equals an authoritative book on the subject. But the problem until very recently was a lack of good books on nootropic supplements. Because the best books on nootropics were written 20 years ago. And are now out-of-date. Do a search on Amazon for “nootropics book” today, and the most recent listings are for eBooks with low review numbers, and very little content. The kind of information you could easily find yourself with a quick Google search. Through my work with Nootropics Expert, I’ve bought every decent book I could find on nootropics, and healing and optimizing your brain. This post reviews the very few books I’ve found. With recommendations on which books to buy. Which books you many want to consider. And which nootropic books you should avoid altogether. Published in 2017, and written by David Tomen (that’s me! 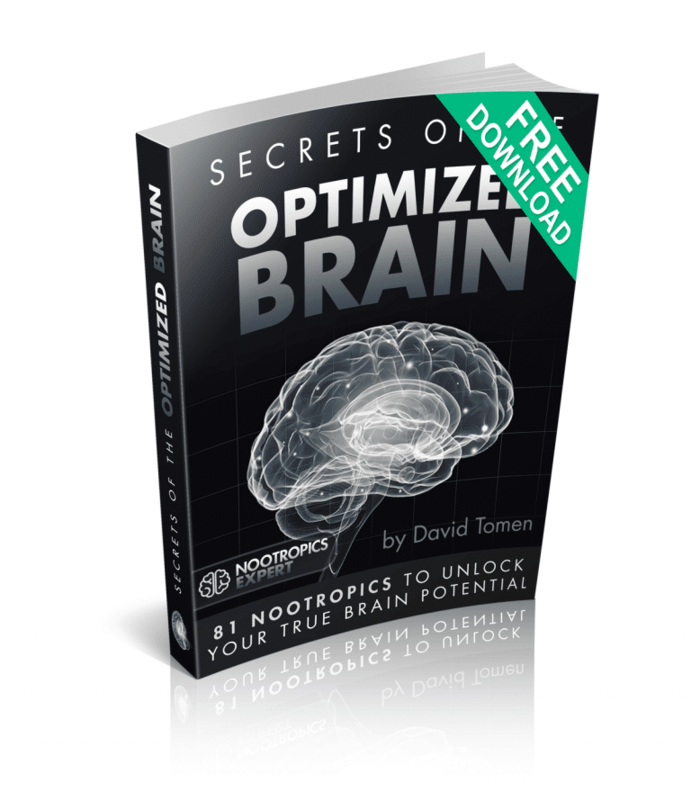 ), author of NootropicsExpert.com, Head First – The Complete Guide to Healing and Optimizing Your Brain with Nootropic Supplements is the new ‘go-to’ book for nootropics and smart drugs. 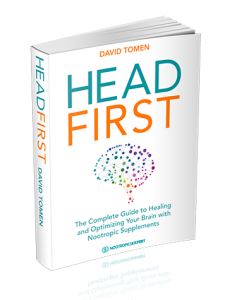 Head First is over 600-pages pages of detailed nootropic supplement reviews backed by clinical studies, dosage recommendations, side effects and drug interactions, how your brain works, and nootropic stack recommendations for everything from Alzheimer’s to ADHD, memory and mood. The book also explains in plain-English how your brain works. What can go wrong. And the how and why a wisely chosen nootropic supplement or stack can correct the problem. Head First is not like some dry, boring encyclopedia of nootropics or smart drug dictionary. You get real, actionable tips right from the start. This nootropics book should be in every serious neurohackers library. And for an added bonus, you can easily contact the author (me!) through this website NootropicsExpert.com if you have any questions. 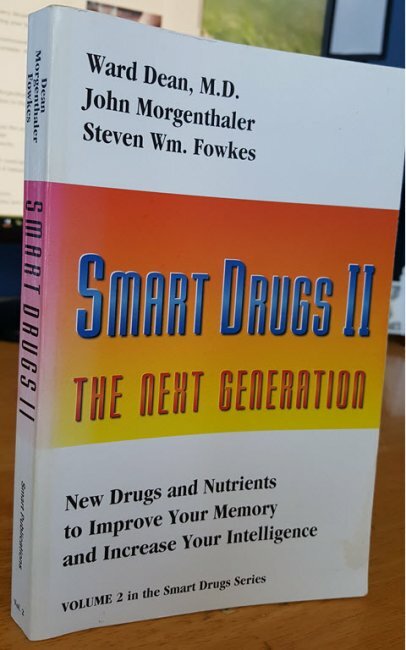 Published in 1993, and written by Dr. Ward Dean, John Morgenthaler, and Steven Fowkes, Smart Drug II was an updated edition to their first book, “Smart Drugs & Nutrients”. The book was groundbreaking when first published because the authors were the first to offer a practical guide to improving mental performance with pharmaceuticals and nootropic supplements. 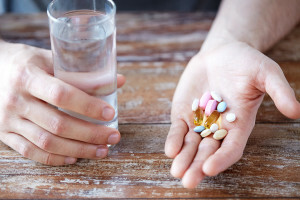 While limited in usefulness by modern standards, for each nootropic, Smart Drugs II included the history of the nootropic, how it helped the brain, dosage notes, and side effects. Nootropics featured in the book included deprenyl, melatonin, phosphatidylserine (PS), ALCAR, Piracetam, various vitamins and a couple of other SSRI-type pharmaceuticals. 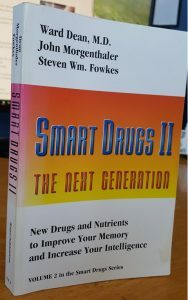 Smart Drugs II is no longer relevant as a useful nootropic guide. But a welcome addition to any neurohacker’s library who is fascinated by the history of nootropics. 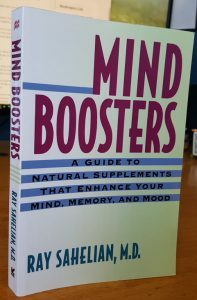 Published in 2000, and written by Dr. Ray Sahelian, Mind Boosters is one of the first books on how to use nootropic supplements for optimizing your brain. The author includes dozens of amino acids, herbs, hormones and other nootropic supplements. 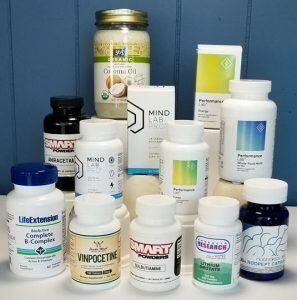 For each nootropic reviewed in the book, Dr. Sahelian provides clinical research, how it feels to use the supplement, and dosage recommendations. But dosage recommendations for most of the nootropics reviewed in Mind Boosters are no longer relevant. Because clinical research in the last 20 years provides new evidence on how each of these nootropics work. And how much of each is required for an effective, therapeutic dose. Mind Boosters was an important book when it was published. But is not as relevant today as it once was. Published in 2011, and written by Dr. David Perlmutter and Dr. Alberto Villoldo, Power Up Your Brain is unique compared to the other books on this list. The authors cover the importance of mitochondria for optimal brain health. They explain in detail how stress harms your brain. And how boosting neurogenesis is critical to healing the brain. The book is unique because the authors recommend a program including Shamanic exercises, lucid dreaming, and various nootropic supplements. Dr. Perlmutter is an American neurologist. And Dr. Villoldo is a psychologist and medical anthropologist with a practice in Chile where he studies and practices the neuroscience of enlightenment. 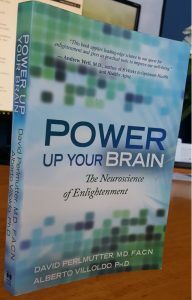 If you are interested in how optimizing your brain effects your spiritual life, I think you’ll love this book as much as I do. Published in 2002, and written by nutritional psychologist Julia Ross, The Mood Cure is as relevant today as when it was first published. 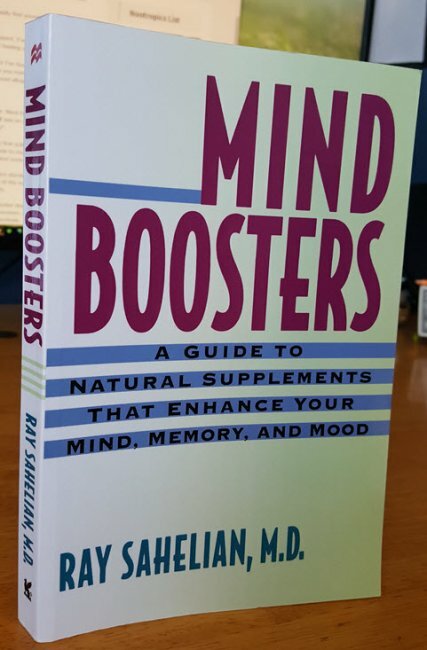 Drawing on 30 years of experience, the author outlines a comprehensive program of amino acids and other nootropic supplements for treating mood disorders. 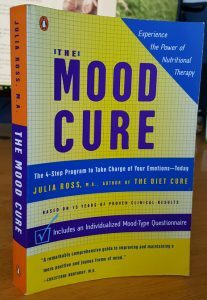 Ms. Ross includes a “Mood-Type Questionnaire” which helps you put together a nootropic stack to overcome anxiety and depression, stress, addiction, insomnia, and hormone-related moodiness. The Mood Cure offers a powerful argument for using natural nootropic supplements as an alternative to prescription antidepressants. 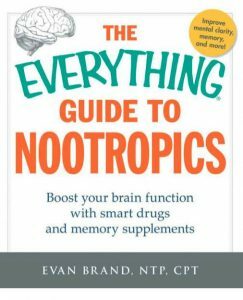 Published in 2016, and written by Evan Brand, The Everything Guide to Nootropics is a knock off of the “Dummies” series of books. The first half of this 250-page book starts with a couple of chapters explaining neurotransmitters and mitochondria. And then provides a ‘dumbed-down’ guide to dozens of nootropic supplements. Each nootropic reviewed begins with a couple of sentences explaining what it is. And then briefly details the benefits of that nootropic supplement. The author does not provide clinical evidence, dosage notes or side effects. The final half of the book is basically a cookbook for boosting brain-power. 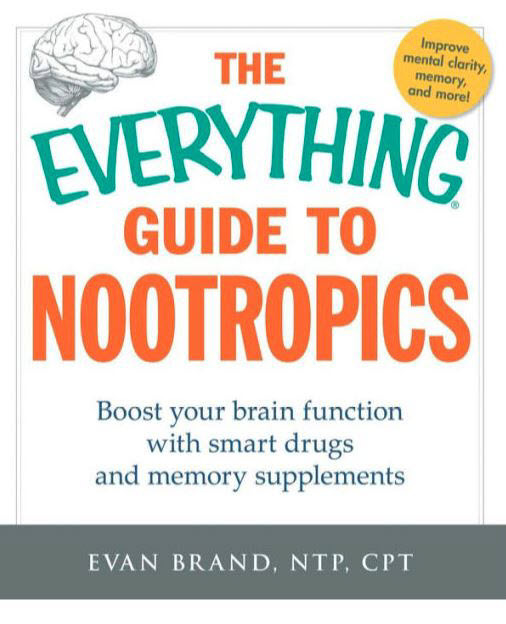 The Everything Guide to Nootropics by Evan Brand falls far short of the “Everything” in its title. And is not recommended. Most of us do our nootropics research today using Google. And scrolling through the forums and reviews of internet shopping sites. But sometimes it is best to have a real book handy to get a full understanding of the complex and constantly evolving subject of nootropics, and brain optimization. Unfortunately, most of the more recent books on nootropics available today are little more than pamphlets or brochures. And other than the books reviewed in this post, are not worth your money or time. And why I did not mention them here. Smart Drugs II and Mind Boosters were ground-breaking books in their time. And The Mood Cure can still be particularly useful if you are dealing with anxiety or depression. 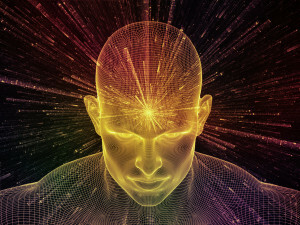 Power Up Your Brain as a book on nootropic supplements and spirituality stands on its own. It’s well-written and an excellent book if enlightenment is your thing. 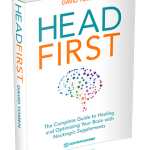 But Head First – The Complete Guide to Healing and Optimizing Your Brain with Nootropic Supplements is by far, the best book on nootropics available on planet Earth today. 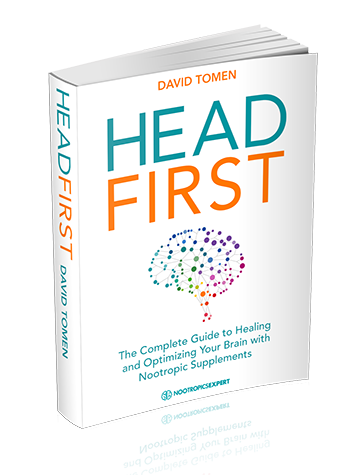 Hopefully, with the publication of Head First, other experts in the field of nootropics and brain optimization will be inspired to write a book. And share their knowledge with the rapidly growing biohacking community.